NEW YORK -- A Trump Tower apartment rented out on Airbnb had gotten rave reviews before the listing was taken down last week. The New York Times says the listing was removed after it contacted Airbnb for comment about the rental in the building that's home to President Donald Trump and his family. 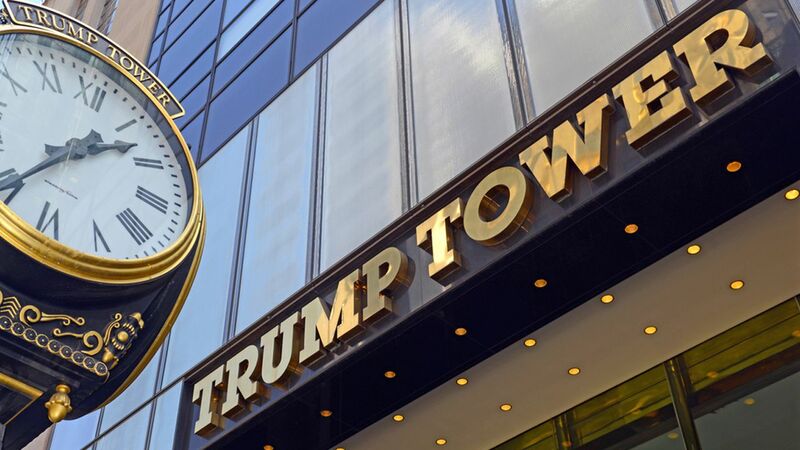 The Trump Organization says condominium rules prohibit Airbnb listings. Airbnb spokesman Nick Papas said the company was looking into the matter. "This is obviously a unique situation, so we've removed this listing from our platform." The luxury apartment was available since around September for about $300 to $450 nightly. Renters learned the address after they'd booked reservations. Nico Voigtlander, an associate professor at the University of California, Los Angeles, stayed there in November, just before the election. "The host sent me the address, and then I called her and said, 'I can't find it, I only see the Trump Tower,'" Voigtlander told the newspaper. "She said, 'It's in the Trump Tower.'" Travelers who read between the lines might have guessed, though. The listing noted: "It is a specific building, so please - political opinions cannot be shown." Renters were instructed to discreetly describe themselves as the apartment owner's guests. They were admitted after presenting ID and undergoing security screening. The Secret Service declined to comment. Mike Lamb, a software engineer from England, stayed there with his wife in December. "It was surreal to be honest," Lamb told the paper. "You can hear them (protesters outside) shouting from high up in the building." He also said he glimpsed then vice president-elect Mike Pence heading into Trump Tower from his motorcade. A Times reporter's April reservation was canceled after the host learned he planned to write an article. The mayor's office said it would investigate the Trump Tower listing. A New York state law levies fines against people who rent out their entire living space for less than 30 days. New York City agreed in December to enforce the law only against the hosts and not to fine Airbnb.